With the Cricut Expression 2 , you'll be able to bring all those wonderful ideas swirling around inside to life, because it's chock-full of all-new features to love. 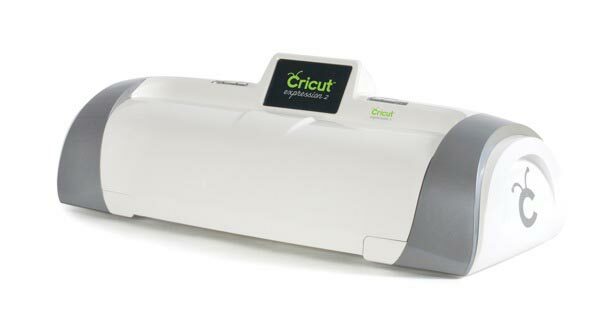 Cricut Expression 2 is perfect for new and not-quite-so-new users alike - it's easy and fun to use for all your personal creative projects. A sleek, new exterior and thoughtful innovations make Cricut Expression 2 a must-have for any craft room. Your words never looked so good. Whatever the message may be, this font cartridge, with its set of letters, numbers, and designs, is sure to help your writing jump right off the page. Dress up any of your projects with this multipurpose cartridge. With it, you will have access to hundreds of shapes, designs, and artwork to inspire a new creation or even apply the finishing touches on something you've already started.